Inspired Color. Defined Performance. : What’s the Difference Between Pigment and Masterbatch? What’s the Difference Between Pigment and Masterbatch? As a maker of color concentrates for a variety of polymeric products, exact color matches, lot-to-lot consistency, and color stability are extremely important to our customers. By having Americhem manufacture color concentrates (also known as masterbatches) for use in their manufacturing process, they are counting on us to handle critical aspects of coloring and maintaining color for their products. We often hear people that misunderstand our part in the value chain and think that we make pigment. Dictionary.com defines a pigment as: 1. a dry insoluble substance, usually pulverized, which when suspended in a liquid vehicle becomes a paint, ink, etc. or 2. A coloring matter or substance. Although Americhem uses pigments in our products, our masterbatch products can best be defined as a high concentration of pigments and additives encapsulated by a polymer. 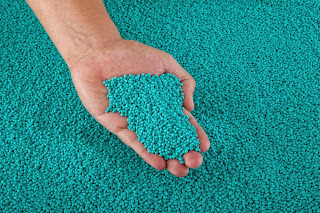 Instead of powdered pigments that are messy and must be cleaned from every surface that they touch, our masterbatches are most often made in pelleted form, like the picture you see here, and can be made as pellets and beads of differing sizes depending on what’s best for our customer’s manufacturing process. 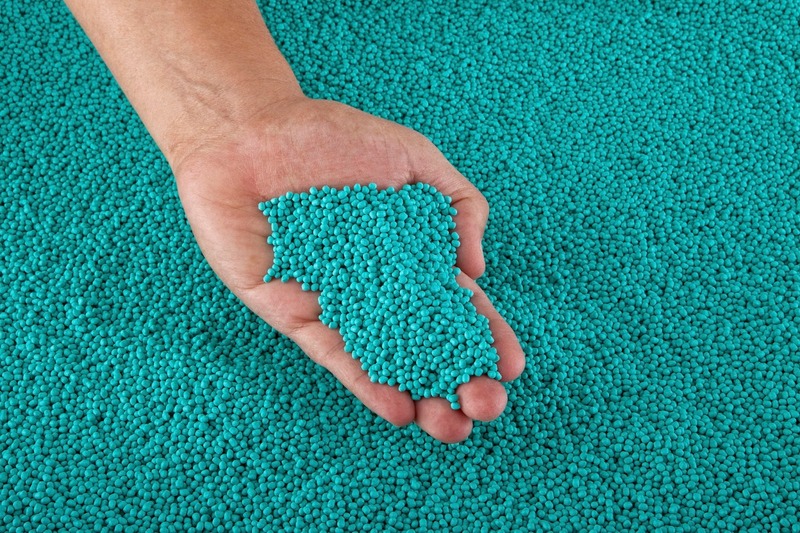 You might ask if pigments alone can be added during the plastics producing process and the answer is yes. But it certainly isn’t what most plastic and synthetic fibers producers really do. Adding pigment by itself to these products does not disperse well in their equipment. Masterbatch is designed and engineered for optimal dispersion in a polymer matrix. Therefore, products made with masterbatch are consistent with one another and consistent from lot to lot, and even within lots. Masterbatches will give your products the ultimate opacity or transparency, depending on the desired effect. You realize full color value in your products because of the optimal dispersion of the pigment particles. You will also use less pigment when it’s delivered in masterbatch form because of masterbatch’s optimal, pure dispersion. There are other advantages to color concentrates. Raw pigment can become airborne in manufacturing plants, contaminating other products being made on other manufacturing lines. Color concentrates are much easier to feed and handle during the manufacturing process. You can also match up the polymer you are coloring with the same polymer binder in the masterbatch for better melt processing. And because we make additive concentrates as well as color, we can create an all-in-one, multi-attribute masterbatches containing color and your choice of functional additives such as UV stabilizers, antioxidants, flame retardants and optical brighteners. So instead of having to feed many ingredients into your plastic processing equipment, you could use just one concentrate with predetermined ratios of ingredients to make your life a whole lot easier. It has been said that masterbatch can be compared with Kool-Aid. A packet of Kool-Aid contains concentrated color and ingredients that give the drink flavor and aroma. When mixed with sugar and water (which are comparable to the polymer in plastics) these ingredients disperse evenly throughout the pitcher, making a drink that looks, smells and tastes great. Consider Americhem your color and additives expert. If you’d like to explore other aspects of color, join the conversation and let us know by leaving a comment.